AeroFarms published a new story on Medium.com. Read a teaser here or see the full story at www.Medium.com. Seventy percent of global water resources go toward agriculture. Seventy percent of fresh water contamination comes from agriculture. Sit with that a moment. This incredible statistic is what drove David Rosenberg, Chief Executive Officer of AeroFarms to co-found the pioneering vertical farming company. He wanted to do something about the very real possibility that his children would not be able to take clean water for granted as most of us do today. He soon learned that salad is a good place to start. The US packaged salad industry will grow to $7 billion by 2018 and 95% of those greens grow in either the Salinas Valley in California or Yuma, Arizona. 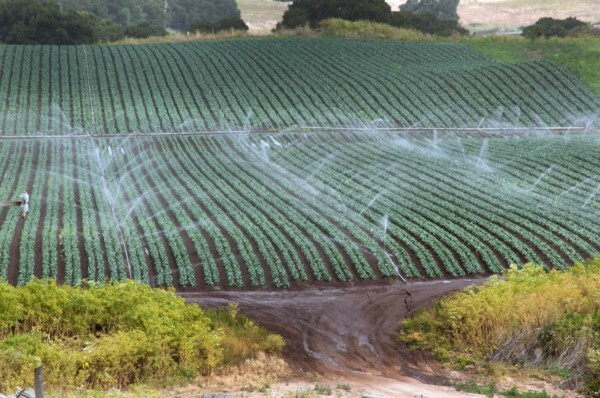 The quantity of water required to sustain these farms, not to mention the intense water requirements of the controversial “triple washing” practice, has largely contributed to the dire state of water in California, magnified — though not begun — by years of drought. Satellite images from November show that reservoirs and lakes in California had lost almost half of their capacity. And though reportedly, Governor Jerry Brown is preparing to declare the drought over next month, meteorologists and climate scientists say the volatility is here to stay. This challenges the efficacy of California’s water infrastructure, which is heavily dependent on snow not melting in sudden, early spring. Plus, water quantity isn’t the only issue — contamination is on the rise. Read the rest at www.Medium.com.